I read a very interesting article on the Gizmag website this month by a fellow named Brian Dodson. It was entitled, ” A good book can change your life…and your brain.” It basically discussed how when we read stories, it kind of “transports” us into the shoes of the characters that we identify with, and just like real life experiences change us biologically, so does reading about experiences, even fictional ones. Here’s the article: A good book can change your brain . 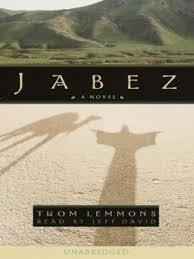 “Jabez A Novel” by Thom Lemmons, was such a book for me. It has to be one of the shortest ones I’ve read in a long while, only 129 pages. It was published in 2001 by Waterbrook Press. I think the title, “Jabez A Novel.” was intentional and gently humorous, because the person Jabez is only mentioned briefly in the Bible, 1st Chronicles, 4:9-11. Jabez prayed the prayer that so many of us desire of God every day in our own ways. One fellow, Bruce Wilkinson even wrote a “prosperity” book about the prayer. I really never cared for those kind of books though, but that’s just my opinion. It worked for him I guess, He sold tons official “Prayer of Jabez” products like mugs, backpacks, candles, mouse pads, and even jewelry. 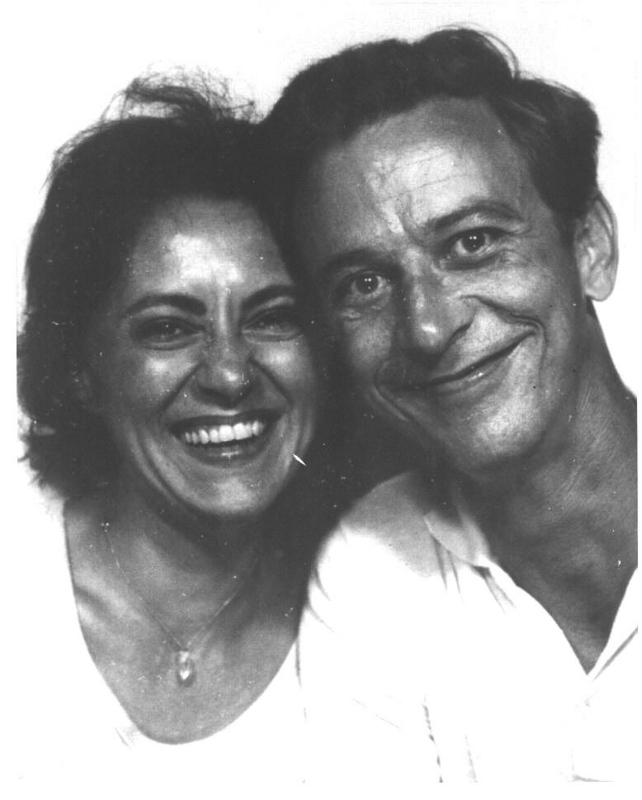 Even his wife Darlene jumped in and wrote a version for women. Much of the book focused on his mother. I really appreciated this, because I know how important mom’s are. 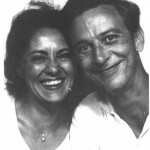 I lost my mom in 2008, and I really miss her. Here is my favorite all time picture of her with my dad when they were young! Also, Jabez struggled with his name, because in Hebrew it means: “he causes pain.” Thom Lemmons has expertly painted a wonderful picture of how the life of Jabez might have been, and he has taken great care to be very accurate. His book reminds me of a couple of other favorite authors, Brock and Brodie Thoene. If you enjoy this book, then you will also enjoy their work. Jabez’s mother gave him his name. But within him was the character of God, and God heard his prayer. God hears our prayers too, but the key is to remember to pray in His character. In the “Name” of Jesus, means in the character of Jesus. Make sure your requests to God are in line with His nature and character. Then you are breathing out His “nĕshamah,” back to Him, and remember, His Word will not return void. So, when you hear folks talking about “Taking the Name of God in vain,” what it really means is when you claim to be a follower of Christ, but intentionally do things that you know bring disgrace to Him, you are literally taking “His Name in vain.” It really isn’t cursing, although that’s not a good thing to do either. Pretty cool stuff. I hope you enjoy this book, “Jabez” by Thom Lemmons, as much as I did. Maybe you’ll get lucky and score a copy at a used book sale. Mine cost a quarter, courtesy of my favorite lunchtime hangout, my public library. It was sure worth it! This entry was posted in fiction and tagged he causes pain, Jabez, Thom Lemmons. Bookmark the permalink.